Now here's a tricky little number. 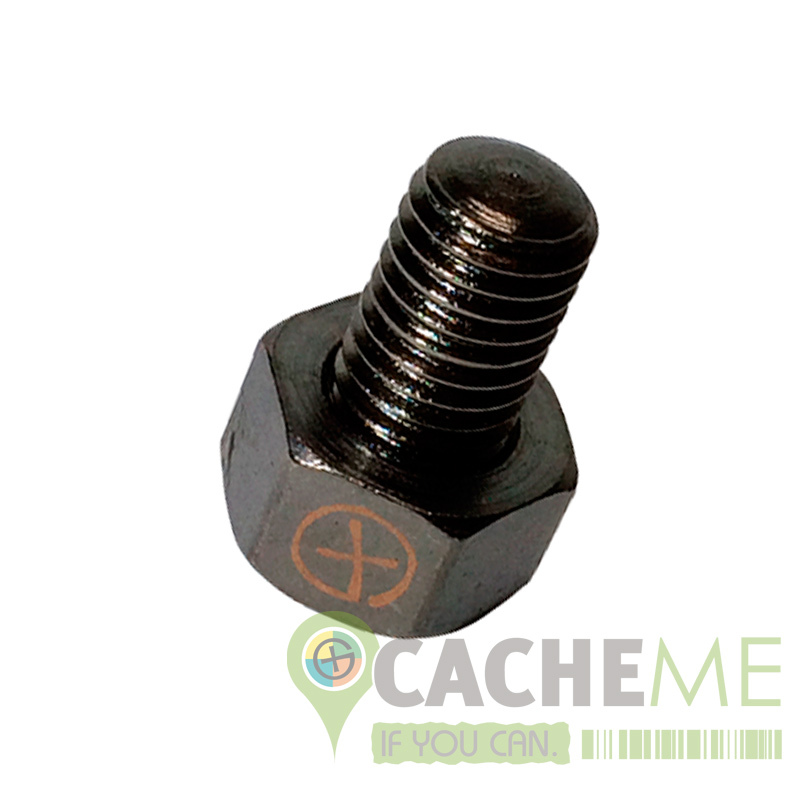 The old fake bolt cache. We love these things! The cache so many rave about and yet you still don't seem to see huge numbers of them around. This geocache is guaranteed to confuse if you find the right location. Quality steel construction that will last for years. Has discrete geo-mark on it for identification (if you knwow what you're looking for) magentic base for quick and easy installation onto most metal objects. Enough room for a decent sized micro log book. The log is sealed in with a rubber O-ring once the thread is fitted onto the nut. 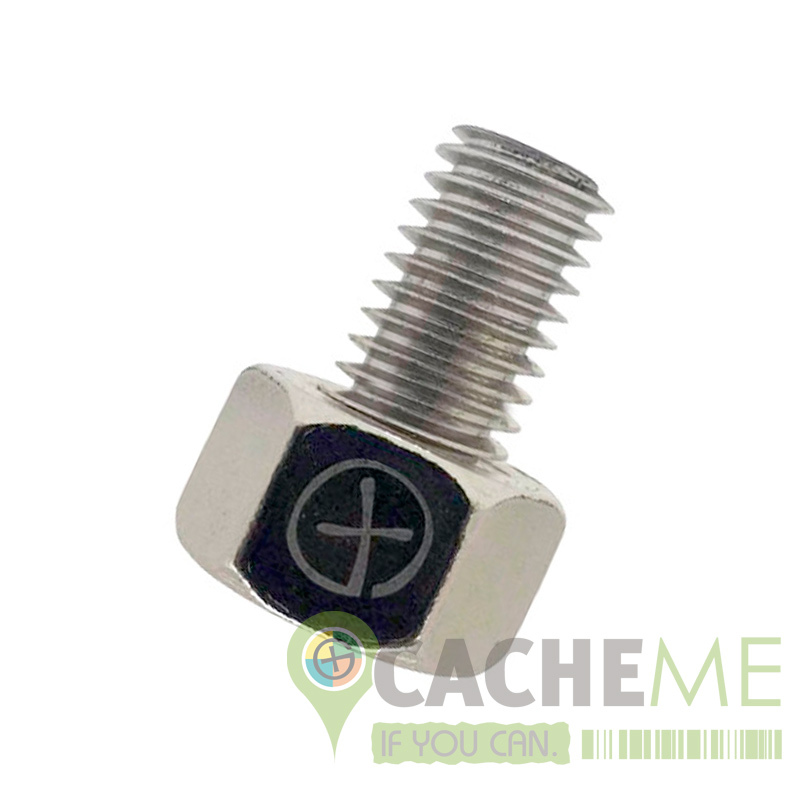 Note: Bolts may vary in colour between silver and gunmetal black finish and is chosen by random selection or what is currently available. We will try to accommodate in colour where possible but not guaranteed. Go on, Place one. You know you want to.